Lego Transformers Showcase: Brickfete - Come out and see some Cool Lego Creations! 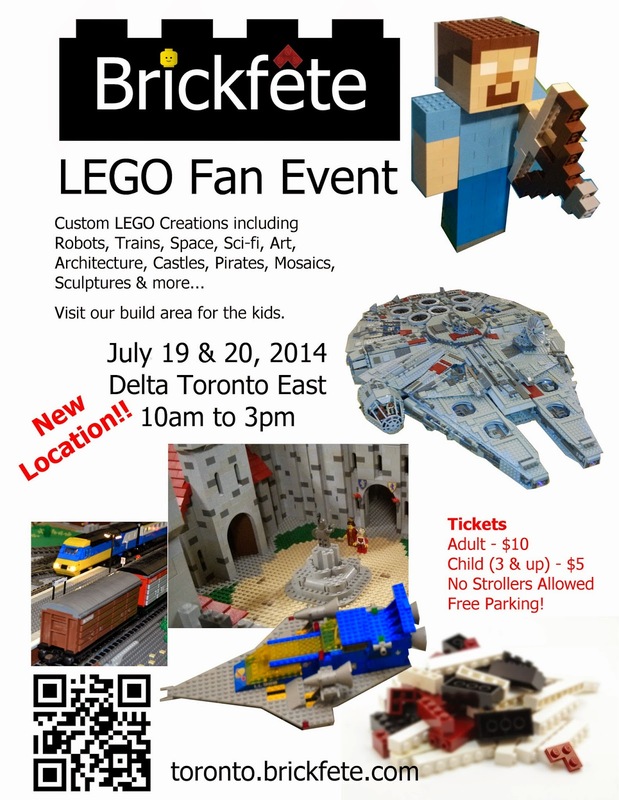 Brickfete - Come out and see some Cool Lego Creations! A break from blogging other peoples TF MOCs today, instead come out and see other people's MOCs and mine LIVE and in person at BRICKFETE , Canada's premier Fan Exposition for Custom Lego Fun. Put on by the Fans for the Fans! Come out and see wonderous creations made with your favourite little ABS bricks. Open to the Public July 19th and 20th at the Toronto Delta East. Come on out and see some great creations!